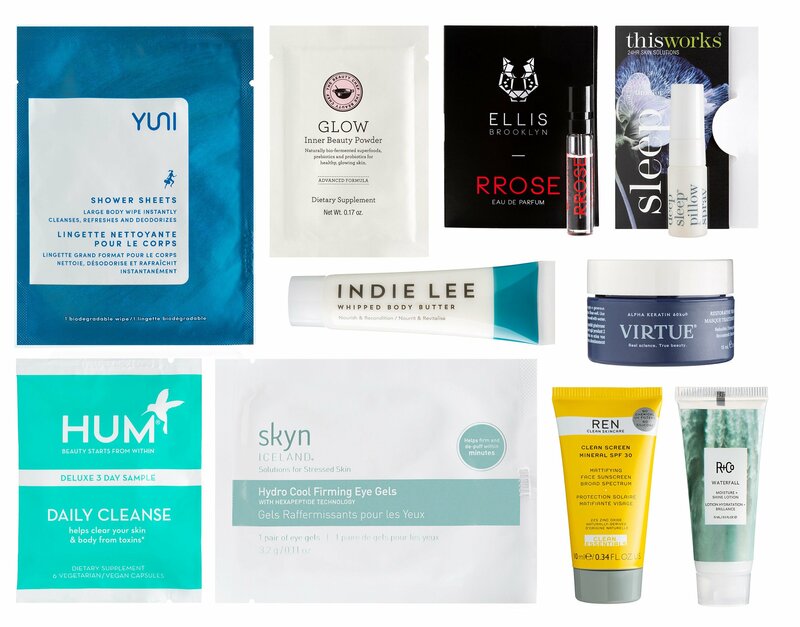 SkinStore (NEW) Friends & Family Exclusive: Save 30% on select brands with code FF30, ends 4/22. (NEW) Friends & Family: Save 25% sitewide with code FF25. (NEW) Get 15% off SkinCeuticals and Dermablend use code SKINC15. (NEW) FREE 37 Actives Travel Kit (Faux-leather bag includes High Performance Anti-Aging Cream, High Performance Anti-Aging Cleansing Treatment and High Performance Anti-Aging Neck and Decolletage Treatment … worth $275!!!) when you spend $150 on the range. (NEW) Clearance: 60 – 70% off select products with code SALEX10. (NEW) 15% Off ELEMIS with code ELEMIS, ends 4/22. (NEW) Rodial Dragon’s Blood Kit + FREE gift – worth $397, pay ONLY $180. Save 55%. Decorte (NEW) Get 6-piece Spring Essentials free with any $200 purchase. Choose 3 free DELUXE samples at checkout – no code needed. Free shipping with any $65 purchase. Lookfantastic US, CA (NEW) Save $35 when you buy 2 beauty eggs for $145 with code EGG145 (worth $658) . (NEW) Get $7 off the Beauty Egg for only $78 (worth $329) with code EGG5. Look Fantastic Beauty Egg Collection Box 2019 or Lookfantastic Easter Egg Beauty Box 2019 is available now $90 ($76.50 with coupon). Worth $275 or £250 – but it will only cost £65. Subscribe to the lookfantastic Beauty Box today and save $15 off the lookfantastic Beauty Egg Collection when you use the code BBEGGSUB or BEAUTYEGGBB at basket (try it – work for nonsub). If you’re a Lookfantastic subscriber, you get an extra £10 discount. (NEW) FREE Elizabeth Arden 7-piece set worth $106 when you spend $120. See all official Lookfantastic coupons and gift with purchase page here. Free shipping on all any $25 US purchase. (NEW) Buy 2, Get 1 On Us, ends 4/18. (NEW) 2 For $10 Drops of Youth™ Youth Concentrate Sheet Mask. (NEW) Each purchase of a 6.7 OZ or 13.5 OZ of body butter may claim one free personalized label. (2d) Get a free mini Satsuma Body Lotion with any $30 purchase use code GIFT4U. Barneys NYC (NEW) 40% off select designers sale! There are so many nice boots and sneakers. (NEW) They are now offering AUGUSTINUS BADER 30ml $160. (NEW) Receive a complimentary 3 deluxe Natura Bisse Diamond Cocoon Travel Set and a cosmetics bag with any $350 Natura Bisse purchase. Visit Barneys sale, or Barneys beauty gift with purchase. Free shipping all order. Adore Beauty Australia (NEW) Choose your 4 deluxe size gift goody bag with any $110 purchase, ends 4/27. See this page for all coupon codes. Free shipping on all Australian orders. Two free samples on any $50 order. Ship to US, Canada, UK starts from $6.95. AmorePacific (NEW) 4-piece TIME RESPONSE Set. Get the most coveted anti-aging trial set with your $250 purchase, ends 4/30. (5d) For a limited time only, enjoy 25% off select sets & products. End Date: 4/30. They offer travel size starting from $15. Choose extra 2 free samples at checkout. In addition, use code WELCOME10 to get 10% off any purchase. Free shipping on any order. Barneys Warehouse (NEW) THE SPRING HOLIDAY SALE Save 40% off sitewide! Valid 4/16-4/22. E.g., new arrival handbags like Prada handbags under $450! Belk (NEW) $15 off $75 beauty purchase use code BELKBEAUTY15, ends 4/16. Benefit Cosmetics (NEW) Score 50% off all lip products through 4/30. (NEW) Get a FREE deluxe sample of Benetint when you spend $35+. Use code FREETINT through 4/30. Bloomingdales (NEW) Receive deluxe La Mer The Eye Concentrate deluxe sample with any $50 La Mer purchase. Bobbi Brown Cosmetics (NEW) 25% Off Any purchase. Discount applies in cart. (NEW) Don’t forget to check their Daily Deal. Pick 2 free samples at checkout. Shipping is free. Butter London (NEW) 20% off everything + free shipping use code FREESHIP20. Clarins (NEW) Limited time only! Receive 6-piece gift, plus a free travel-size Extra-Firming Mask & Eye Cushion, with any $100 order! Use code EARTH19. Valid 4/15-4/18. Clarisonic (NEW) Get up to 47% off! */a> For a limited time only get the Clarisonic + La Roche Posay Purifying Set and the Clarisonic + La Roche Posay Hydrating Set for $129 each! No Code Necessary. Valid 4/15-5/31. While Supplies Last. Sign up to their newsletter for an extra 10% off. Dior (NEW) With any $150 get a free travel size Dior Prestige La Micro Lotion de Rose, ends 4/18. Free complimentary Dior gift wrapping. Choose two free samples at checkout. Diptyque (NEW) Use the code MINTHOLOGY with any order to sample diptyque’s newest fragrance. Erno Laszlo (NEW) Complimentary Hydraphel Skin Supplement sample with $175 purchase. Use code: TRAVEL. Free shipping on any $50 purchase. Choose 2 samples at checkout. GOOP (NEW) Try a new Goopglow Glycolic Peel with any beauty purchase use code GLOW. Standard shipping on all orders less than $50. Creme de La Mer (NEW) offers new GWP ($156 value) with $300+ purchase use coupon code “GIFT19”. Use code NEW2018 to get $75 off your first purchase of $350 or more, two free samples and free shipping. Lancome Canada (NEW) offers new Lancome spring GWP. Laura Geller (NEW) 40% off all face items, ends 4/16. Molton Brown (NEW) FREE 6-Piece Mini Travel Set with any purchase of $80. (NEW) FREE 6-Piece Luxury Travel Set with any purchase of $120, ends 5/19. Omorovicza (NEW) Treat her to a little luxury this Mother’s Day, with a unique gift, hand picked by you. Simply spend $200 or more* to receive three complimentary travel sizes of your choice and an Omorovicza cosmetics bag. Choose 3 free samples with any order. Free shipping all UK & US orders no minimum. New customer use code NEW or TRYME15 to get 15% off. Pur Cosmetics (NEW) Affiliate exclusive: Get 25% Off All Orders of $100 or more with code PUR25OFF100! Plus, Free Shipping on orders of $50 or more and FREE samples with every order! 3 FREE trial size samples with any order $40+ at purcosmetics.com! Includes samples of Hydrating Mist, Glow Primer and Bronzer! Offer valid through 4/30. QVC (NEW) Receive a gift with purchase when you buy select philosophy items. Riley Rose (NEW) Buy one clearance item and receive an additional clearance item for 50% off through 4/24 (NEW) Sign up to their Beauty Vault Member and use code HELLOLOYALTY to get a free gift. Saks Fifth Avenue (NEW) Receive a complimentary Pocket Spray of your choice in an Earth Day-inspired Pouch* with any $190 Bond No. 9 New York Fragrance purchase. Sulwhasoo (NEW) Through 4/30, 5-piece Timetreasure Set. An ultimate anti-aging trial kit with any $250 purchase. ($120 value). Selfridges (NEW) Urban Decay x Game of Thrones Palette (Selfridge exclusive). Sephora and Sephora.ca (NEW) Yves Saint Laurent Rouge Volupté Shine Oil-In-Stick Lipstick 100 points and CLINIQUE FULL-SIZE PEP-START EYE CREAM 500 points for VIB and Rouge — SEPHORA Rewards Bazaar. SkinCareRx (NEW) Our Friends & Family offers: 25% off some of your favorite brands such as PCA Skin, Elta MD and Arcona with code FF25. Or alternatively, shop the Friends & Family Sale List with up to 30% off select brands including Replenix, Epionce, Paula’s Choice and more, with no code needed! Stacked Skincare (NEW) Free Gift: Travel Size Calming Hemp Facial Elixir on any $200 order. Visit 30% off sale. Free shipping on any $75 purchase. Stila Cosmetics (NEW) Receive a FREE #33 One Step Complexion Brush with select items purchase. (NEW) Receive 15% OFF your online Stila Cosmetics order with code BOSS15. Target (NEW) added 3 new Target Beauty Box $7 Shipped. Too Faced Cosmetics (NEW) offers 40% off Too Faced Born This Way foundation and concealer use code: IMATS40. Free Shipping on all Kits or Sets – no promo code needed! Through April 22nd, you can score a Free La Creme Mystical Lipstick in Mermaid Tears or Unicorn Tears shades when you use spend $35+ and use promo code MERMAID or UNICORN at checkout. OR, you can score a Free Tutti Frutti Tote when you make a $50 purchase and use promo code TUTTITOTE at checkout. Plus, all orders include two free samples! Urban Outfitters (NEW) Beauty sale 30% – 70% off beauty. Von Maur (NEW) Build your 7pc Clinique Bonus with $27 purchase and choose another two deluxe gift on any $55 purchase. Walgreens (NEW) Through 4/27, Extra 20% OFF $45 Sitewide + Free Shipping w/ code 20WELCOME (NEW) Buy 1 Get 1 50% OFF Sun Care , ends 4/20. (NEW) Online only! 25% OFF Milani Cosmetics , ends 4/20. (NEW) Through 4/27, Buy 2 Get 3rd FREE on Hair Care . Wet n Wild (NEW) 50% off The Fire and Ice Collection and their Vegan products are 30% off use code VEGAN30.